As the Lundy’s Lane business community prepares for another Fall Restaurant Week, it’s also excited about future streetscape improvement plans for the busy area. David Jovanovic, project administrator for the Lundy’s Lane business improvement association, said between Oct. 12-26, 13 restaurants will offer two or three-course, price-fixed lunches and dinners. A number of establishments will also offer express lunches at one, low-fixed price for the diner who does not have a lot of time, he said. “We’re expecting in excess of 7,000 (patrons) for this upcoming event, so it’s growing,” said Jovanovic, adding Lundy’s Lane also offers a Winter Restaurant Week in February. The second phase of the streetscape revitalization along Victoria Avenue will cost $8.3 million. Council approved an additional $230,000 to complete the first phase of a streetscape project along Victoria Avenue. The extra expense will come out of the city’s capital holding reserve fund and will address unanticipated intersection work, as well as additional consultant services. Earlier this year, council entered into a cost-sharing arrangement with the Victoria Centre Business Improvement Association for a $3.8-million revitalization from Highway 420 to Clifton Hill/Centre Street. The city agreed to a strict construction timeline, at the request of the BIA. Construction began this spring, but stopped during July and August to not disrupt the busy tourism season. Work is scheduled to resume after Labour Day, and is expected to be mostly completed by November. It has been a long-time coming. Businesses along Victoria Avenue say they are looking forward to the streetscape improvements approved recently by Niagara Falls city council. “It’s going to improve the look of the street and I’m all for it,” said Andrew Vergalito, owner of the Italian Ice Cream business on Victoria Avenue, near Highway 420. Victoria Avenue, from that intersection to Clifton Hill/Centre Street, will undergo a $3.5-million facelift starting in the spring. Council approved the project, at the request of the Victoria Centre business improvement association, during its Jan. 26 meeting. The first in what is expected to be a multi-phase revitalization along Victoria Avenue has been approved by city council. The city will contribute $2.9 million towards the $3.5-million phase, while the Victoria Centre BIA will contribute up to $600,000, conditional on a spring 2016 start. In 2014, the BIA and municipal staff developed a streetscape master plan outlining improvement ideas for the district, located in the tourist area of Niagara Falls. The plan calls for accessible sidewalks, benches, decorative lighting, street trees and landscaping, gateway features, attraction and performance space, resurfaced roadways and public washroom facilities. The Summer of Thrills is back. For the second year in a row, the Summer of Thrills is set to entertain and amaze onlookers with high-in-the-sky death-defying acts and a variety of street performances on the Victoria Ave. promenade. “The goal of the event is to animate the street and provide a free event all summer long,” said Vince Ferro, event coordinator with the Victoria Centre BIA. The BIA first brought thrill acts to the area last year and it was a unparalleled success, Ferro said. “It was overwhelming last year,” Ferro recalled. Businesses in Niagara Falls are being asked to help foot the bill for Nik Wallenda’s wirewalk. Niagara Falls Mayor Jim Diodati confirmed Friday he has asked the “bigger” business improvement areas in the city to donate money toward Wallenda’s tightrope walk across the Niagara Gorge June 15. Wallenda, who will become the first person to ever perform the stunt, has said the cost of the event has turned out to be more than $1.2 million — $200,000 higher than he was first expecting. Last week, the 33-year-old American performer set up a fundraising page on IndieGoGo.com, with the goal of raising $50,000. As of Friday afternoon, he had raised just over $7,000. But after Wallenda criticized some of the businesses in Niagara Falls for profiting off his walk without paying him anything, Diodati approached the city’s BIAs, which are organizations funded by businesses in specific geographic areas of the city. The mayor said the city has a committee working on the project and this was one of the ideas suggested. The BIAs have been asked to come up with $25,000 each and the overall goal is to raise about $250,000. 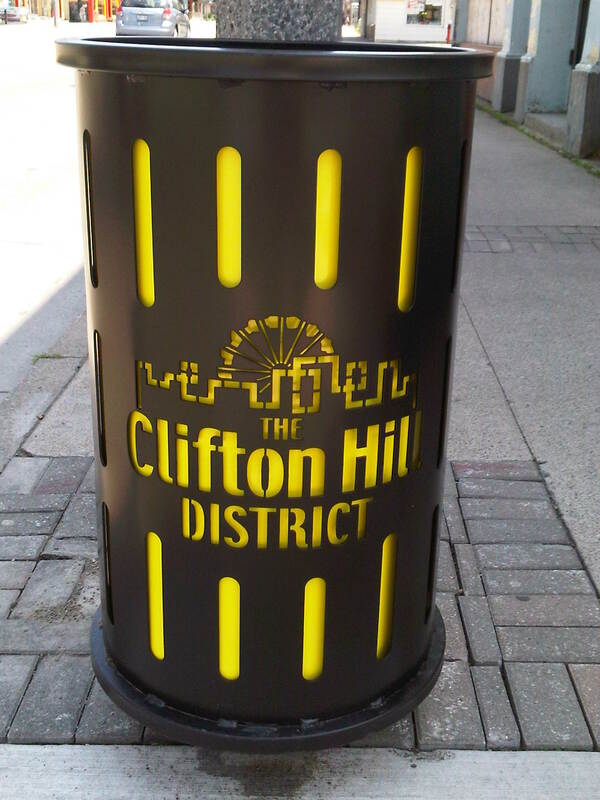 Have you seen the new garbage cans that are around (but not on) Clifton Hill? They look very nice. It is said that Winston Churchill called it “the prettiest Sunday afternoon drive in the world” and on Sunday, June 20, thousands of bikers will likely share his sentiment as they cruise down the Niagara Parkway. Between June 18 and 20 thousands of bikers will descend on Niagara Falls for the inaugural Bikers Rally, the first of its kind in the city. The event is being hosted by the Niagara Parks Commission, Niagara Parks Police and Fallsview Business Improvement Area. The main event of the weekend will be a mass bike rally down the Niagara Parkway escorted by the Niagara Parks Police.